All Types Automotive is an independently owned car mechanic business servicing the Reservoir area. We offer expert engine repairs, car servicing, body repair, pre purchase inspections and problem diagnostics for any make or model. We also supply a range of car care products that will help keep your vehicle in top condition. Established in 1994, our highly trained team will quickly and efficiently determine the cause of your engine troubles, and have the problem resolved before you know it. Trust us for reliable, professional car care at highly competitive rates. Are you looking for an all-rounder automotive service provider in the bustling suburb of Reservoir? Well, you have come to the right place! We deal and provide all kinds of automotive services in a very professional manner. It was often quite difficult to find a reliable and skilled car mechanic Reservoir, Brunswick, Campbellfield, Coburg, Eltham, Pascoe Vale, Preston or Thornbury but not anymore! All Types Automotive in Reservoir is the answer to your automotive needs. Our automotive services cover a wide range of car mechanic services ranging from all types of minor & major repairs and car electrical services. 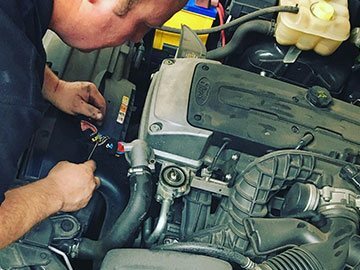 Our experienced car mechanics can deal with engine breakdowns, car maintenance issues, tuning services, transmission repairs & services and auto electrical work even on short notice! When selling your old vehicle, you need to provide a Roadworthy Certificate. Get your Roadworthy Certificate issued from a licensed Roadworthy Certificate service provider in Reservoir – the team at All Types Automotive are licensed to issue Roadworthy Certificate to improve everyone’s safety on the road. All Types Automotive also provide gas conversion at our Reservoir auto shop. With the economy going down, it is sensible to switch to gas, but finding a reliable car dealer to install a gas kit in your car is a hard nut to crack. Worry no more, because All Types Automotive specialise in converting vehicles to the more environmentally-friendly option of natural gas. Like any other auto repair service provider, we can replace and repair any type of brake and clutch services in Reservoir and faults in your vehicle. Our services include repairing disc rotor machining, brake drum machining, cylinder repairs, hydraulic repairs, plate relining and flywheel grinding, to name just a few. We service and replace these faults at extremely competitive prices. 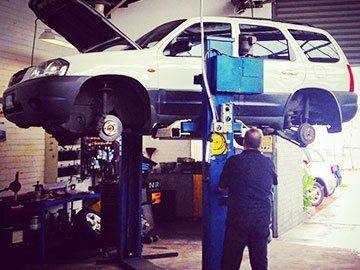 When getting a power steering fitted in your car, make sure that you hire the services of an experienced automotive service provider. We also service impaired power steering by adjusting steering rack, drive belts and steering fluid refills. Contact us to get Power Steering Service & Repairs done in Reservoir today! All Types Automotive provides the residents of Reservoir with the best automotive services possible, having been in business for nearly nineteen years. We have professionals by our side that can not only take care of your vehicle’s external issues, but are adept at satisfying you by improving its internal and overall performance, no matter what make or model it is. Our services, car accessories and spare parts are available at competitive prices that are hard to beat! 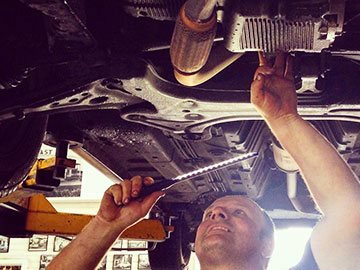 So, the next time you need vehicle repairs or maintenance in Reservoir, Fawkner, Broadmeadows, Bundoora, Fairfield, Glenroy, Greensborough or surrounds, just turn to All Types Automotive. NEEDS, CALL ALL TYPES AUTOMOTIVE.